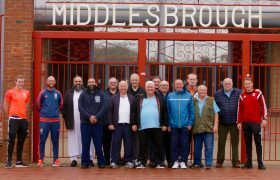 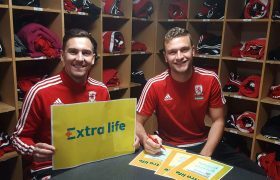 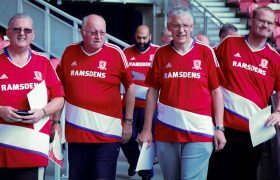 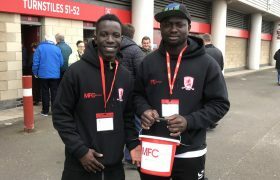 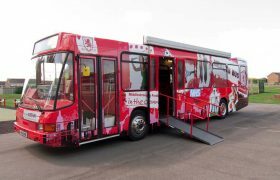 Middlesbrough FC’s Under 23 squad made a number of visits around the local community yesterday, joining in with a number of MFC Foundation’s weekly programmes. 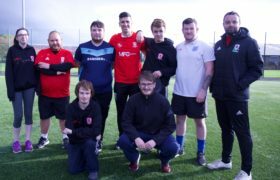 Off the back of their excellent 3-1 win over Liverpool in the Premier League Cup, the team split into three groups to spend some time with our programme participants on Teesside. 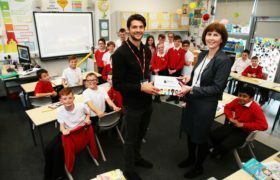 Tom Brewitt, Luke Armstrong, Hayden Coulson and Patrick Reading visited St. Gregory’s Primary School in Stockton-on-Tees to promote the +Sport Move & Learn programme. 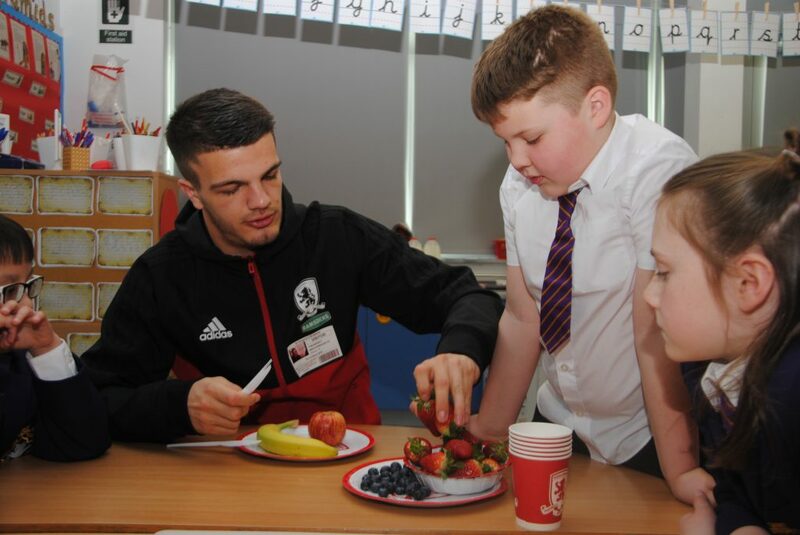 The quartet split off into groups with Year 4 pupils to design their own healthy smoothies, with the children picking their favourite fruits to make a delicious drink. 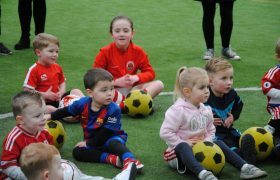 The +Sport Move and Learn programme is designed to encourage children to lead a more active lifestyle and understand the importance of eating healthy food. 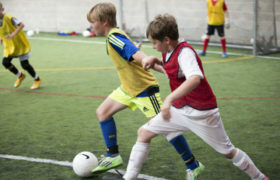 The popular course is now in its third year of delivery. 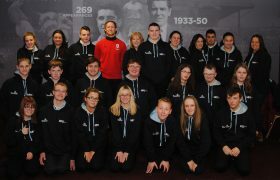 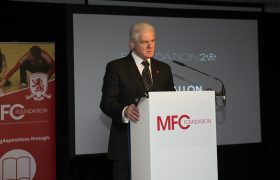 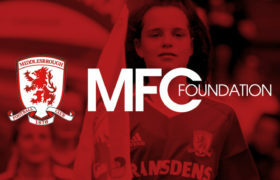 MFC Foundation delivers this project to local schools with over 4000 young people already being engaged from 40+ schools. 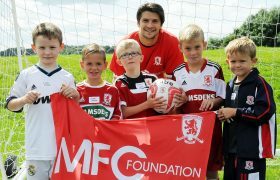 The four players then took part in a Q+A session with the children, as well as getting to know more about their passion for the football club. 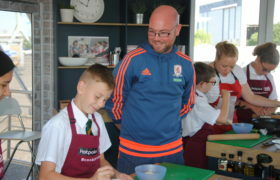 “We had fun helping the Year 4 children make their smoothies, and educate them a little bit more about the benefits of eating fruit,” said Tom. 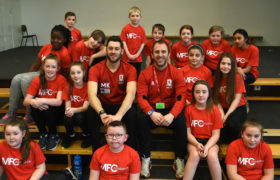 Meanwhile over in Middlesbrough, Matthew Elsdon, Ben Liddle and Keiran Storey spent the afternoon working with the children of Priory Woods School & Arts College, taking part in a P.E. 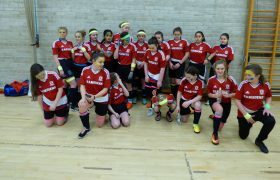 football session. 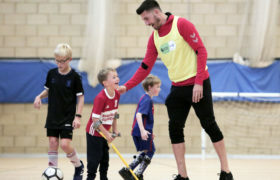 The trio joined in with a number of fun drills on the outdoor pitch, including British Bulldog and tag, as well as bringing the ball into action for a game of seven-a-side. 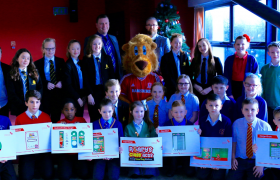 Priory Woods is an all age community special school situated in east Middlesbrough. 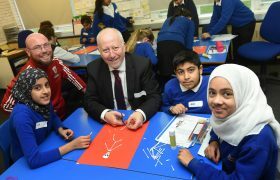 The school provides a quality, inclusive education for pupils with severe learning difficulties and those with profound and multiple needs. 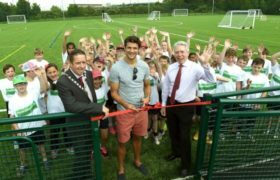 The Foundation delivered P.E. 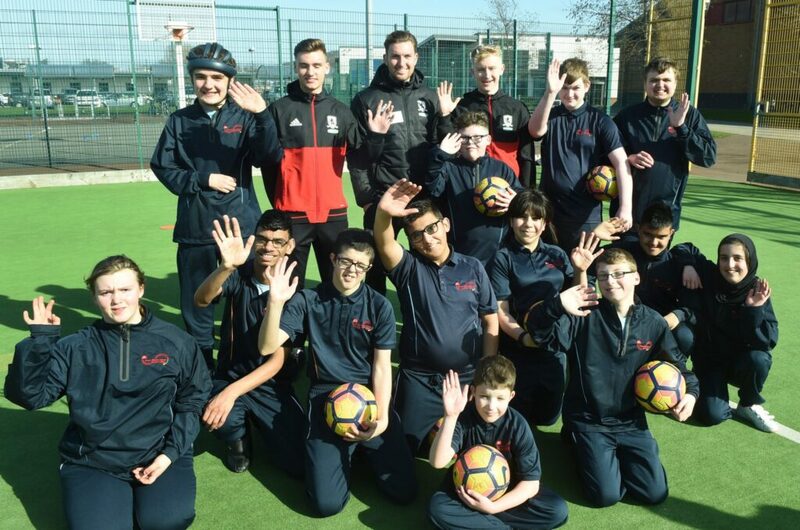 session at the school is just one of many delivered all over Teesside thanks to the Premier League/BT Sport Disability Fund. 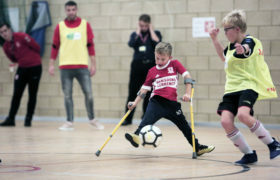 We deliver sessions for both children and adults, with new ‘Borobility’ courses for specific disabilities such as cerebral palsy or for those who are deaf or hard of hearing recently starting in Middlesbrough. 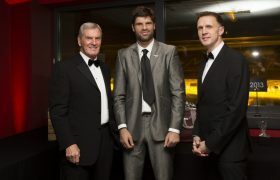 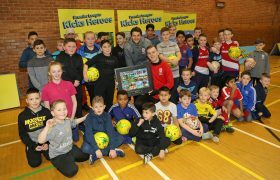 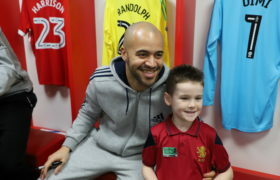 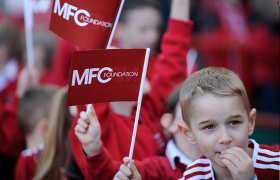 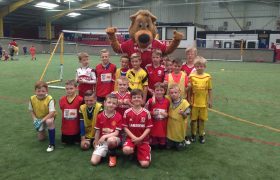 “The three players were fantastic with the children,” said Lee Grace, MFC Foundation’s Inclusion Lead. 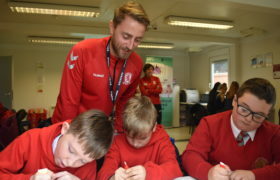 Finally over at the Riverside Stadium, fresh from his two goals against Liverpool, Mitchell Curry joined Bradley James, Jay Wilson and Liam Hegarty at the Foundation headquarters in the East Stand to meet our current Futsal & Education Scholars. 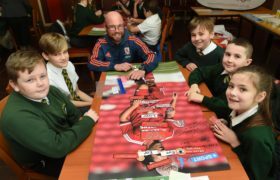 The four players joined a table each for a Q+A session, team building activities, and the chance to swap notes about their current studies, with the U23 players having gone through a similar process to our pupils while completing their own academy scholarship. 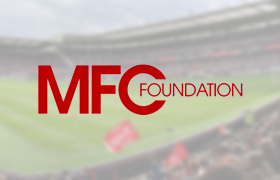 MFC Foundation’s Futsal & Education Scholarship offers a unique experience for 16-18 year olds to combine further education and sporting performance. 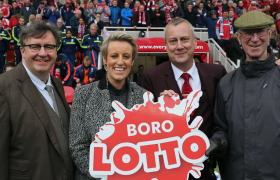 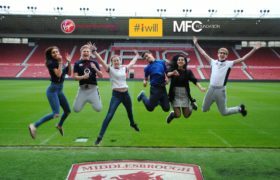 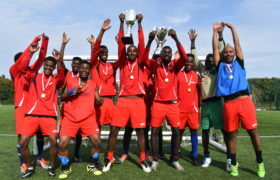 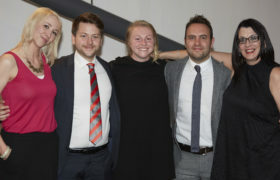 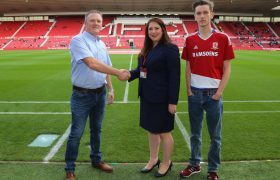 Over the two year course, students study a BTEC Level 3 National Extended Certificate in Sport, and compete in the EFL Trust Games Programme, representing Middlesbrough FC. 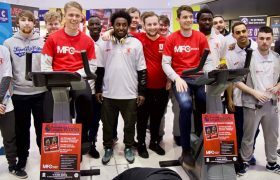 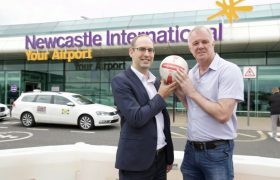 “The boys took a lot from the U23 players coming in to chat with them,” said Andrew Downey, MFC Foundation’s Futsal & Education Scholarship Coordinator. 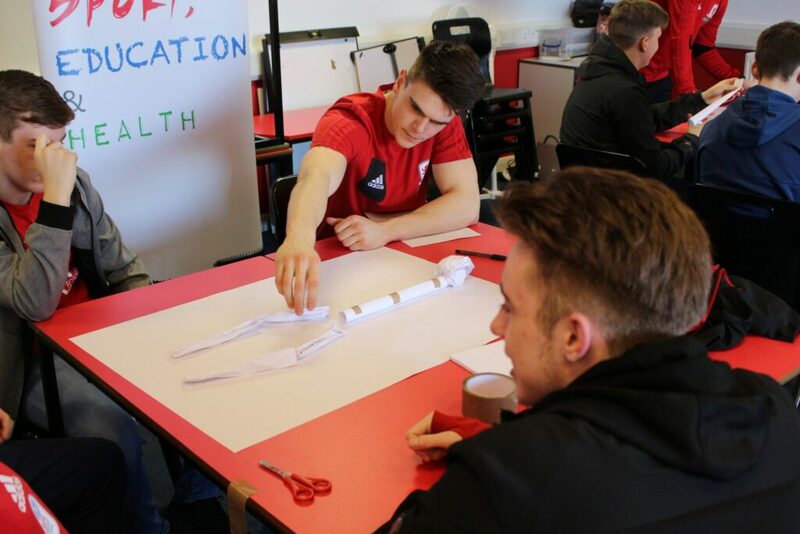 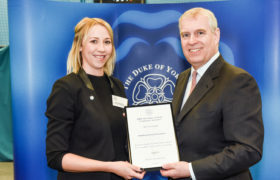 “Having gone through the BTEC Sports programme themselves, they can appreciate what our scholars are currently going through, and having to balance learning in the classroom with competing on the pitch.